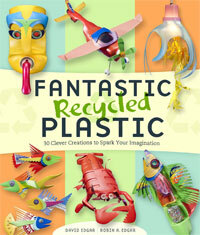 Discover the artistic potential of using recyclable plastics such as detergent bottles and yogurt containers. 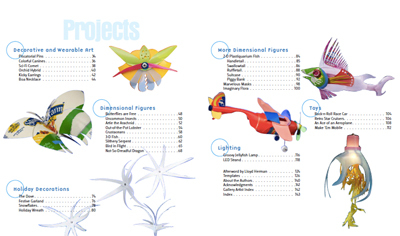 Filled with imaginative projects for all ages and occasions, this unique book offers 30 projects and a gallery of over 40 examples of international artworks made with recycled plastic to inspire you to be creative and go green at the same time. A Division of Sterling Publishing Co, Inc. Available for purchase from your local bookseller or online. Click on the image below to view the Table of Contents in a separate window.